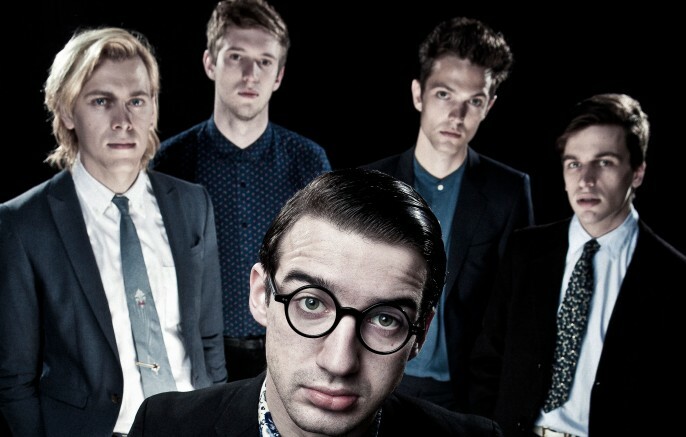 London based indie rockers Spector, recently confirmed plans to release the much-anticipated follow-up to their 2012 debut Enjoy It While It Lasts. 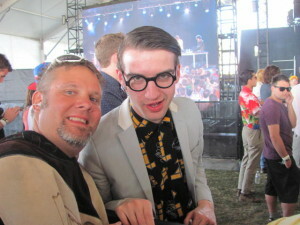 Spector frontman Fred Macpherson and blogger DJ Deep take time from their busy 2012 Coachella schedule to pose for a photograph. 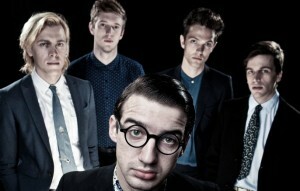 The UK band is best known for their Reflection Day anthem “Never Fade Away.” Last week the quartet shared a video for their latest single “Bad Boyfriend.” In the likely event Spector isn’t on your new music radar… this now makes three singles released since last December, all of which are supposed to be included of the forthcoming album. There’s no date at this time for the album’s release, but you can rest assured, I’ll keep you posted.